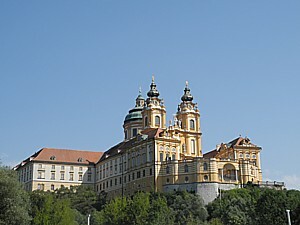 Melk Abbey in Austria has a perch above the Danube River is visited on Avalon Waterways' new 'Austrian Highlights & Bavaria" itinerary © 2012 Karen Rubin/news-photos-features.com. On the heels of announcing two new Suite Ships in Europe and Avalon ChoiceSM – an entirely new concept in river cruising – for 2013, Avalon Waterways is also unveiling plans to add five new itineraries (plus a new themed cruise) to its roster of cruise options. Thanks to increased demand for “passion travel,” Avalon Waterways is expanding its popular wine-, music-, art-, legacy- and holiday-vacations to include a NEW! 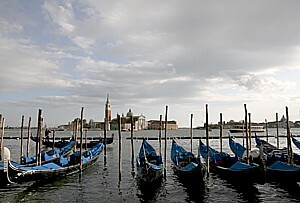 culinary-themed cruise, available on two itineraries for 2013: Paris to Normandy’s Landing Beaches (departure 1029; priced from $2,399) and Grand France (departure 1022; $4,999). Originating in Amsterdam, on this itinerary, cruisers will enjoy the region of “North Holland” where tulip fields abound before cruising farther north to the region known as “Friesland,” famous for its black and white cows. They’ll sail across the Ijsselmeer and take a walking tour of the small town of Hoorn. They will also visit the ZuiderZee Museum in Enkhuizen, the Batavia shipyard in Lelystad and a windmill outside the fishing village of Volendam, with even more excursion choices in Arnhem and Rotterdam. NEW! Austrian Highlights & Bavaria: On this 9-day cruise vacation, travelers will visit Austria’s capital, Vienna, as well as charming small towns like Melk, Dürnstein and Grein before heading into Germany’s Bavaria. 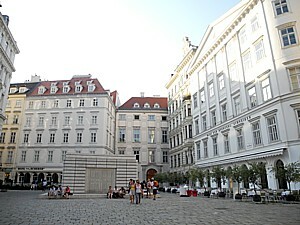 This new vacation also includes time in Munich and a visit to Oberammergau. Priced from $2,579 land/cruise (priced from $1,849 cruise-only). NEW! Capitals of Central Europe: With both 10- and 12-day options, this itinerary focuses on Europe’s splendid capital cities – Vienna, Bratislava and Budapest – as well as the many small towns that dot the landscape along the way. Priced from $2,939 land/cruise (priced from $2,299 cruise-only). NEW! Highlights of Germany: On this 13-day journey from Munich to Basel, Avalon guests will visit two of King Ludwig’s most famous castles: Newuschwanstein, the inspiration for Sleeping Beauty’s castle, and Linderhof. They will also enjoy a beer tasting in Nuremberg and exploration throughout Regensburg, one of Germany’s best-preserved medieval cities. Itinerary visits also include UNESCO World Heritage sites in Bamberg and Würzberg. Priced from $4,129 land/cruise (priced from $3,399 cruise-only). In 2013, Avalon Waterways is introducing two new ships in Asia – The Century Legend and Century Paragon – and adding a fourth itinerary (a Small Group Discovery vacation): 15-day NEW! Enchanting China & the Yangtze River, priced from $3,629. According to Clark, on this new itinerary, travelers can experience China in-depth. They’ll visit world-famous sights in Beijing, Xi’an, Lijiang, Shanghai and Hong Kong, including such must-see sites as the Forbidden City, Great Wall, Sacred Way of the Ming Tombs, Terracotta Warriors, Yu Yuan Gardens and Stanley Market. We’re also offering them amazing, immersive experiences such as attending a special cloisonné and lacquer workshops, a noodle-making demonstration, calligraphy class, rickshaw ride through Beijing’s hutongs and a sampan ride on Hong Kong’s harbor. DEAL ALERT: Right now, Avalon Waterways is offering travelers a few ways to save on its 2013 cruises including offering up to $1,000 off per couple on “Book Now Sailings” as well as an early airfare price guarantee for Europe sailings. For details, click here. To book an Avalon Waterways vacation or request brochures visit a preferred travel agent or by calling 877.380.1535. For more information, visit www.avalonwaterways.com. In the spring of 2012 the New-York Historical Society will present New York Cool, a free concert series highlighting musical history makers, past and present. Made possible through the generous support of Bank of America, this seven concert series features hip, well-known and emerging names from across the spectrum of classical, jazz and popular music genres, performing in our Robert H. Smith Auditorium for free on Friday evenings. A unique combination of live music, art, history and culture, New York Cool will attract a young, cool and dynamic new audience to the New-York Historical Society. This season’s performers include Jay Leonhart, his family and friends, all prominent members of the New York jazz scene; rockers The London Souls; vocal group Just Friends; the Beijing Guitar Duo; Ahn Trio, who blend classical music with a twenty-first century sensibility; and the Ted Rosenthal Quintet, who will perform music from Images of Monk. With the completion of our new Robert H. Smith Auditorium, the musicians will have the opportunity to perform to an audience of up to 420 in a state-of-the-art facility featuring a 75-foot-long high definition screen. All performances will be first come, first served, and refreshments will be available for purchase. Concertgoers will also have a pre-performance chance to view our Robert H. and Clarice Smith New York Gallery of American History, a 3,400 square foot space featuring New York Rising, a permanent installation centered on the themes of America’s and New York’s founding. Founded in 1804, The New-York Historical Society is one of America’s pre-eminent cultural institutions. Dedicated to fostering research and presenting history and art exhibitions and public programs that reveal the dynamism of history and its influence on the world of today, it is recognized for engaging the public with deeply researched and far-ranging exhibitions, such as Alexander Hamilton: The Man Who Made Modern America; Slavery in New York; Drawn by New York: Six Centuries of Watercolors and Drawings at the New-York Historical Society; Grant and Lee in War and Peace; Lincoln and New York; and The Grateful Dead: Now Playing at the New-York Historical Society. Supporting these exhibitions and related education programs is one of the world’s greatest collections of historical artifacts, works of American art, and other materials documenting the history of the United States and New York. Just in time for summer travel, fans of Bruce Springsteen staying at Loews Philadelphia Hotel and reserving the “Bruce Springsteen Exhibit Package” will enjoy the celebration of freedom at the National Constitution Center. From Asbury Park to the Promised Land: The Life and Music of Bruce Springsteen – never before seen outside of the Rock and Roll Hall of Fame and Museum – features more than 150 artifacts of the award-winning New Jersey rocker. Admission to the Center’s main exhibition, The Story of We the People, and viewing of the award-winning Freedom Rising, a 360-degree theatrical production at the National Constitution Center. Available through September 3, the “Bruce Springsteen Exhibit Package” price starts at $179 based upon double occupancy. Rate is subject to availability and change and is not available to groups of ten or more. For information about Loews Philadelphia Hotel, or to reserve a room please call, (888) 575-6397 or visit on-line at http://www.loewshotels.com. The 581-room luxury Loews Philadelphia hotel is a combination of historic architecture and modern amenities in the landmark PSFS building. Located in the heart of Center City, one Philly’s most influential neighborhoods, the hotel is walking distance to the Pennsylvania Convention Center, Reading Terminal, many historic attractions, museums, theaters, shops and restaurants. SoleFood Restaurant is a fusion of seafood and cutting edge culinary expertise, presenting seafood inspired dishes at breakfast, lunch and dinner. The National Constitution Center is the first and only nonprofit, nonpartisan institution devoted to the most powerful vision of freedom ever expressed: the U.S. Constitution. Located on Independence Mall, at 525 Arch Street, in Historic Philadelphia, the birthplace of American freedom, the Center illuminates constitutional ideals and inspires active citizenship through a state-of-the-art museum experience, including hundreds of interactive exhibits, films and rare artifacts; must-see feature exhibitions; the internationally acclaimed, 360-degree theatrical production Freedom Rising; and the iconic Signers’ Hall, where visitors can sign the Constitution alongside 42 life-size, bronze statues of the Founding Fathers. The Center houses the Annenberg Center for Education and Outreach, the national hub for constitutional education, which offers cutting-edge civic learning resources both onsite and online. Freedom is calling. Answer it at the National Constitution For more information, call 215.409.6700 or visit www.constitutioncenter.org. Country music duo Montgomery Gentry, who are never shy on style, play host to TV’s fashion expert Tim Gunn, taking him on a “fashionable journey” through Nashville’s hottest clothing stores for an episode of ABC’s ‘The Revolution”. The episode, showcasing the sights and sounds of Music City, is scheduled to air on Thursday, April 26 on ABC (check local listings and times). Troy Gentry, whose style is best described as “country chic,” introduced Gunn to Aimee Johns at Flavour for Men (1522 Demonbreun Street, Nashville), who guided him through the latest styles of Music Row. Flavour Clothing for Men & Women is known for its unmatched client service and for carrying a large number of creative lines from New York to Los Angeles including Hudson, AG Jeans, Theory, John Varvatos, L.A.M.B., Hale Bob, Joes Jeans and 7 for all Mankind, to name a few. As one of the few boutiques in Nashville that will host private shopping opportunities to include in-store or in-home appointments for those who request it, Flavour is often frequented by Gentry, as well as many other country stars including such notables as Carrie Underwood, Luke Bryan, Blake Shelton, Reba McEntire, Kellie Pickler and more. (Flavour, www.flavourclothing.com, 615-254-2064). After visiting Flavour, Eddie Montgomery, whose style can best be described as “traditional,” introduced Gunn to Morelia Ceuvas, daughter of famed costumer and artist, Manuel. Often referred to as the “Rhinestone Rembrandt,” Manuel (whose signature showroom is located at 1922 Broadway in Nashville), is known for making Johnny Cash the “man in black,” Elvis’ signature gold lamé suit, the garments Bob Dylan wore when performing for the Pope, and countless other stars including (but not limited to) members of The Rat Pack, Roy Rogers and the Lone Ranger. His work within the entertainment industry is world-renowned and received special recognition by the Country Music Association. The shop, Manuel American Designs, also known as Manuel Exclusive Clothier or simply Manuel’s, is a staple not only of Nashville but of Americana history. 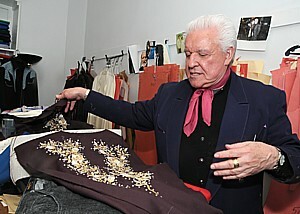 (Manuel’s, www.manuelcouture.com, 615-321-5444). Surf City USA – the Huntington Beach Marketing and Visitors Bureau (HBMVB) announces publication of their all-new, all-inclusive Dining Guide for the city of Huntington Beach. Insider scoops on favorite diners and restaurants come from Huntington Beach locals in the “Meet the Locals” section, and from Surf City chefs (who even share some of their favorite recipes) in “Compliments of the Chefs.” Readers will get “Grab and Go” ideas for the perfect picnic, and find inspiration on – “Setting the Scene” for an Old School, Surfside, Cool & Contemporary, or Romantic experience. With multiple new and trendy restaurants arriving on the dining landscape, Huntington Beach is on the fast track to dining acclaim. From high-end steak, seafood and martinis, to hidden gems popular for their burritos or sandwiches, Surf City dining satisfies discerning “foodie” palates. The first ever Huntington Beach Dining Guide, including a list of over 275 Surf City USA restaurants, is available at the Huntington Beach Marketing and Visitor Bureau office, the HB Visitor Information Center (located at the base of the Huntington Beach Pier), and at various restaurants and hotels throughout the city. An online searchable page-turning version is also available at http://www.surfcityusa.com. The Huntington Beach Marketing and Visitors Bureau is the official destination marketing organization of Huntington Beach, Surf City USA®. One of Southern California’s premier coastal destinations, Huntington Beach is the ideal location for a California family vacation, or relaxing weekend getaway.